King Arthur and his Knights of the Round Table by Roger Lancelyn Green recounts the brave and heroic deeds of the legendary Arthur and his noble companions. 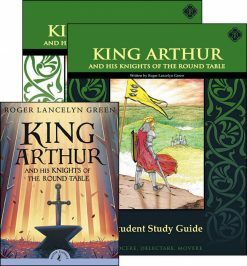 Roger Lancelyn Green's retelling of these enduring legends begins with the tale of the sword in the stone, going on to describe the rise of Camelot, the adventures of the knights of the round table, and the ultimate end of Arthur's kingdom in the Last Battle. 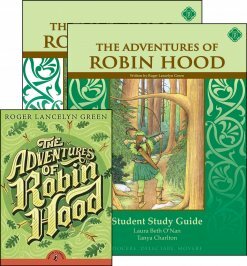 Unforgettable characters like Merlin, Lancelot, Gawain, Guinevere, and Arthur himself, come to life within the pages of Green's classic collection of legends as students are immersed in the world of knights, quests, chivalry, and magic. King Arthur and his Knights of the Round Table recounts the brave and heroic deeds of the legendary Arthur and his noble companions. 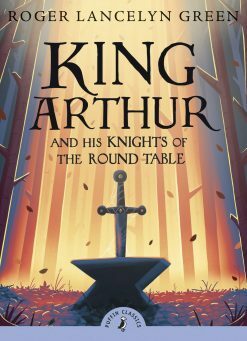 Roger Lancelyn Green's retelling of these enduring legends begins with the tale of the sword in the stone, going on to describe the rise of Camelot, the adventures of the knights of the round table, and the ultimate end of Arthur's kingdom in the Last Battle. 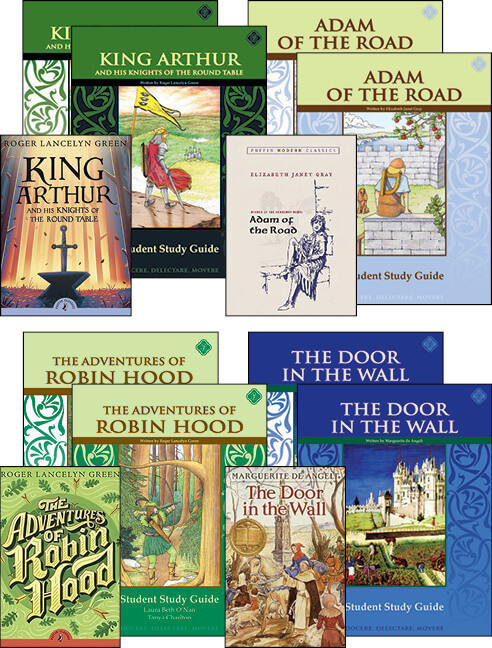 Unforgettable characters like Merlin, Lancelot, Gawain, Guinevere, and Arthur himself, come to life within the pages of Green's classic collection of legends as students are immersed in the world of knights, quests, chivalry, and magic. 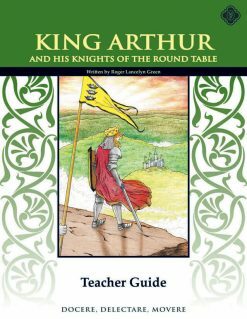 The King Arthur Teacher Guide enables educators to guide students to a deeper understanding of the novel and a greater awareness of the central proposition that gives the story ultimate meaning and expression. 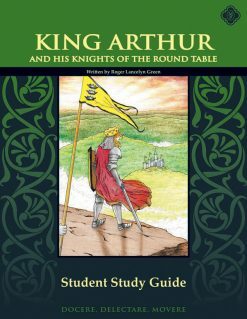 King Arthur and his Knights of the Round Table by Roger Lancelyn Green recounts the brave and heroic deeds of the legendary Arthur and his noble companions. Roger Lancelyn Green's retelling of these enduring legends begins with the tale of the sword in the stone, going on to describe the rise of Camelot, the adventures of the knights of the round table, and the ultimate end of Arthur's kingdom in the Last Battle. 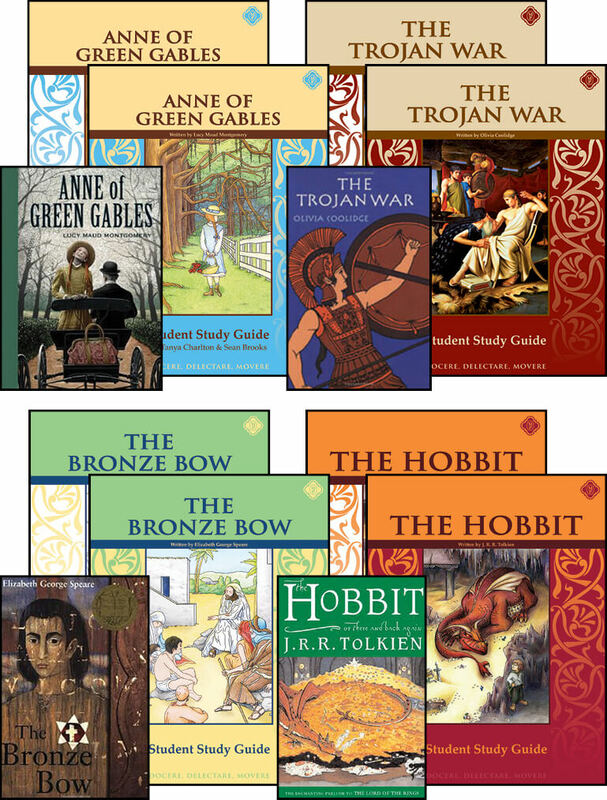 Unforgettable characters like Merlin, Lancelot, Gawain, Guinevere, and Arthur himself, come to life within the pages of Green's classic collection of legends as students are immersed in the world of knights, quests, chivalry, and magic. 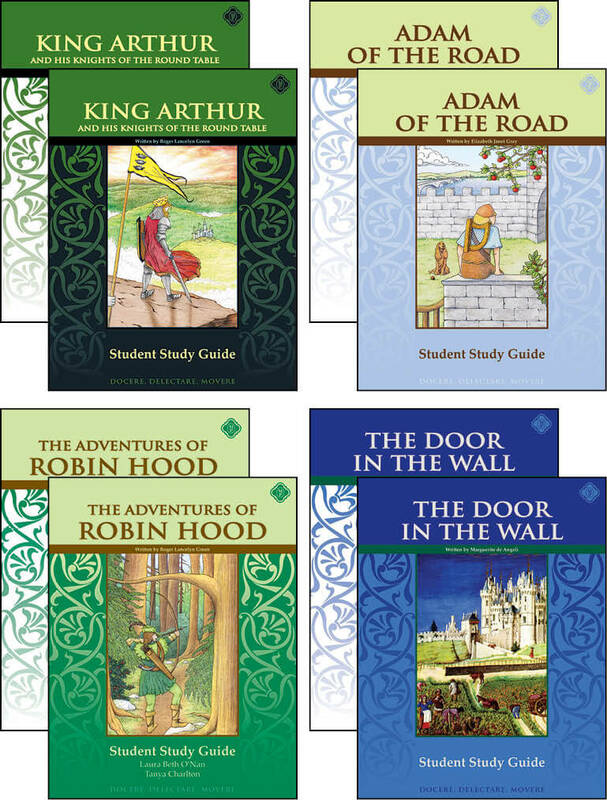 The King Arthur Student Guide increases the student’s vocabulary and reading comprehension by providing in-depth vocabulary study, comprehension questions, and enrichment activities. 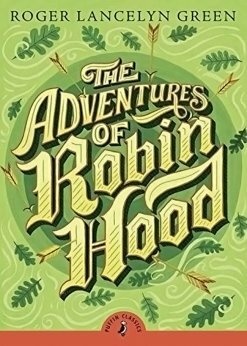 The Adventures of Robin Hood by Roger Lancelyn Green tells of the perennially enjoyable stories of Robin Hood and his Merry Men. Our Student Study Guide will aid the student in developing their Vocabulary and Reading Comprehension skills. 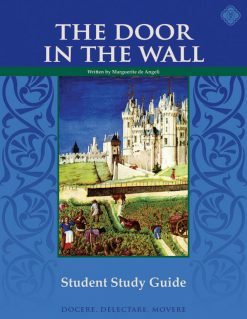 The Door in the Wall by Marguerite de Angeli tells of strength and honor in the face of adversity. During the Middle Ages the young noble, Robin, is sent away to train to become a knight. However, when he loses the use of his legs he fears this dream will never become a reality. A friar named Brother Luke takes Robin to the monastery of St. Mark's to care for him. Through the training and encouragement he receives from Brother Luke Robin learns many practical skills as well as the power of hope. Thanks to his newfound independence and self-confidence, while serving as a page to Sir Peter de Lindsay, Robin is able to protect the kingdom when Lindsay Castle is threatened by Welsh invaders. The Door in the Wall Student Guide trains students to become active readers by providing in-depth word studies that help students build vocabulary as well as comprehension questions to teach students to identify important concepts and compose clear, concise answers to questions. 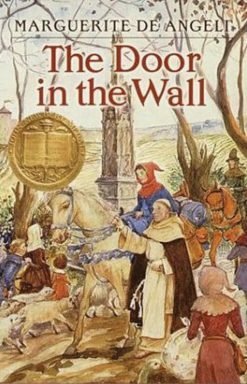 The Door in the Wall by Marguerite de Angeli tells of strength and honor in the face of adversity. 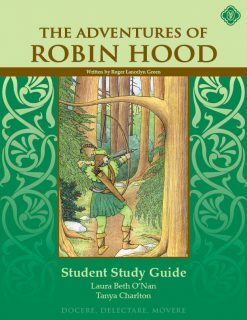 During the Middle Ages the young noble, Robin, is sent away to train to become a knight. However, when he loses the use of his legs he fears this dream will never become a reality. A friar named Brother Luke takes Robin to the monastery of St. Mark’s to care for him. 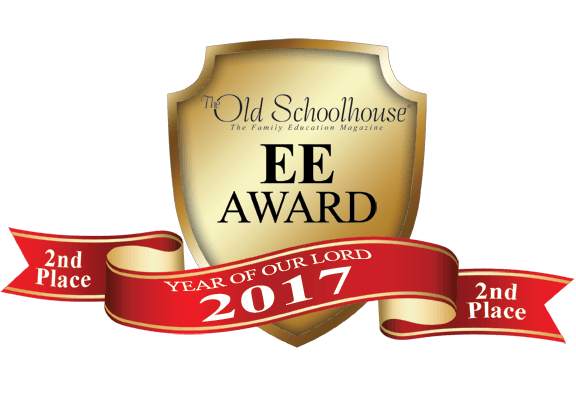 Through the training and encouragement he receives from Brother Luke Robin learns many practical skills as well as the power of hope. Thanks to his newfound independence and self-confidence, while serving as a page to Sir Peter de Lindsay, Robin is able to protect the kingdom when Lindsay Castle is threatened by Welsh invaders. 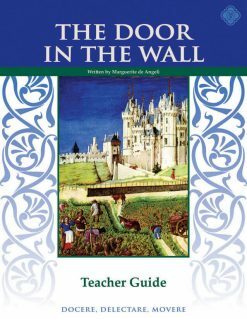 The Door in the Wall Teacher Guide contains all answers to The Door in the Wall Student Guide as well as all quizzes and tests. 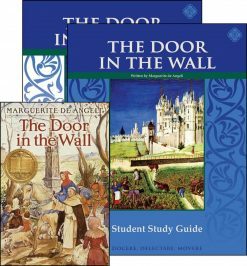 The Door in the Wall by Marguerite de Angeli tells of strength and honor in the face of adversity. During the Middle Ages the young noble, Robin, is sent away to train to become a knight. However, when he loses the use of his legs he fears this dream will never become a reality. A friar named Brother Luke takes Robin to the monastery of St. Mark’s to care for him. Through the training and encouragement he receives from Brother Luke Robin learns many practical skills as well as the power of hope. 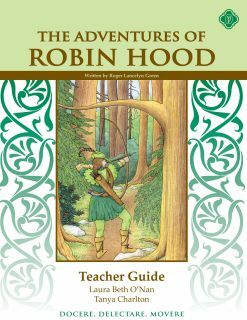 Thanks to his newfound independence and self-confidence, while serving as a page to Sir Peter de Lindsay, Robin is able to protect the kingdom when Lindsay Castle is threatened by Welsh invaders. 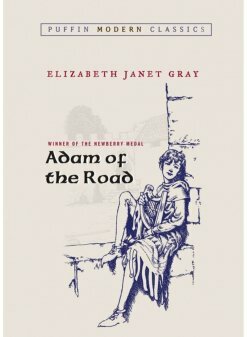 Adam of the Road by Elizabeth Janet Gray is a Newbery Medal-winning adventure set in medieval England. Adam is a young boy who travels the roads of England with his father, a minstrel, and his dog, Nick. However, one day Adam's dog is stolen, and his father vanishes. Alone, Adam wanders the roads he once traveled with his father searching for him. Along his journey through villages, markets, and fairs, Adam meets many different kinds of people and has many adventures. Adam of the Road by Elizabeth Janet Gray is a Newbery Medal-winning adventure set in medieval England. Adam is a young boy who travels the roads of England with his father, a minstrel, and his dog, Nick. However, one day Adam’s dog is stolen, and his father vanishes. Alone, Adam wanders the roads he once traveled with his father searching for him. Along his journey through villages, markets, and fairs, Adam meets many different kinds of people and has many adventures. 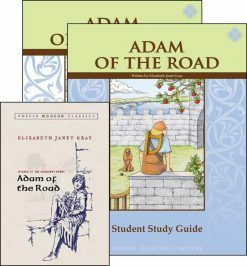 The Adam of the Road Teacher Guide contains all answers to the Adam of the Road Student Study Guide as well as all quizzes and tests. Adam of the Road by Elizabeth Janet Gray is a Newbery Medal-winning adventure set in medieval England. Adam is a young boy who travels the roads of England with his father, a minstrel, and his dog, Nick. However, one day Adam’s dog is stolen, and his father vanishes. Alone, Adam wanders the roads he once traveled with his father searching for him. Along his journey through villages, markets, and fairs, Adam meets many different kinds of people and has many adventures. The Adam of the Road Student Guide trains students to become active readers by providing in-depth word studies that help students build vocabulary as well as comprehension questions to teach students to identify important concepts and compose clear, concise answers to questions. 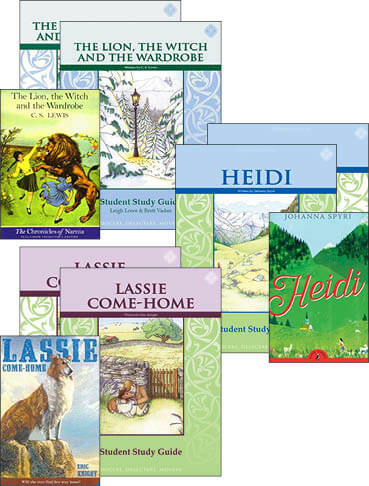 Need Lesson Plans for Sixth Grade Literature?